Found this while researching. Although I can't read it, I love the style. 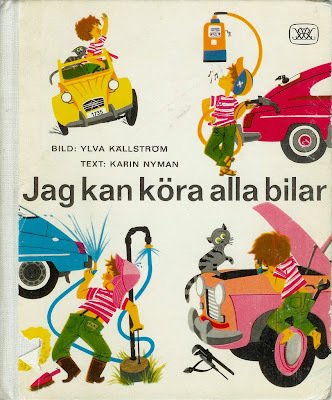 (I Can Drive All Cars) was published in 1965 is by Karin Nyman and nicely illustrated by Ylva Källström. 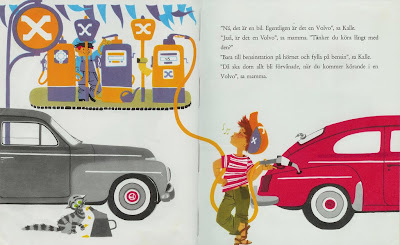 It's about little boy named Kalle who imagines driving all sorts of cars as he steers his tricycle.